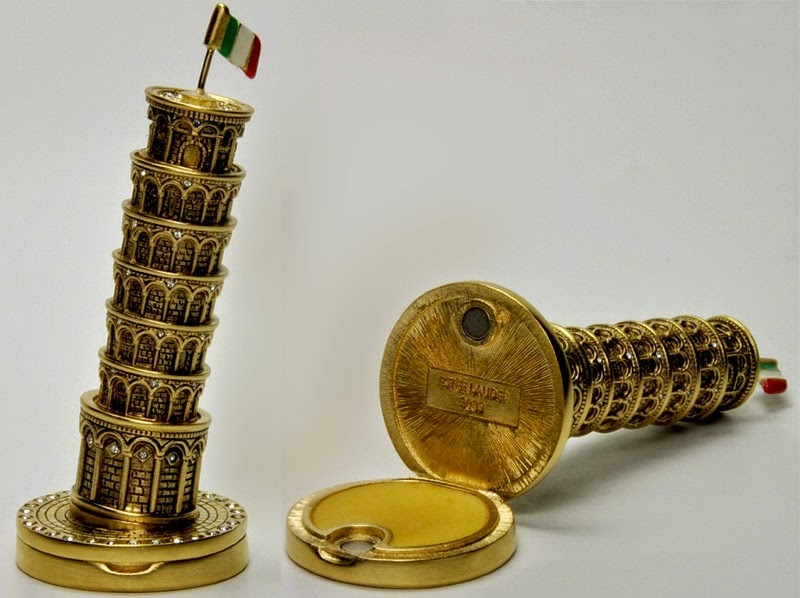 More than just a perfume 'bottle,' this brushed goldtone metal compact is also a small replica of the famous Tower of Pisa. It measures 3.5" tall and is filled with Estee Lauder's White Linen perfume. Estee Lauder PISA TOWER Solid Perfume Compact 2009 Collection. 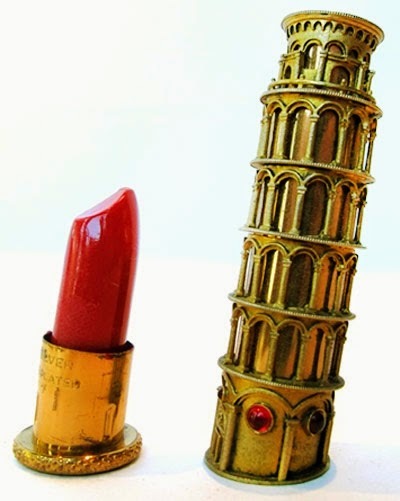 It reminds me of a vintage 1950’s era Leaning Tower lipstick signed by Nichilo Jewelers in Rome, below. Avon probably did architectural scent bottles, they did Soldiers and Bears (which is where my interest lies) and various other esoteric things? I never know if Avon ("Avon Calling" went the ads.) is a UK or International thing but Google might help!